The Wang-house stems from 1495. It is a single and double cubic respectively with no cellar built underneath. In 1588, a storage place made of laid bricks was added containing a chimney and an arbour for cooking. It probably is a transition: instead of the barn a “knitted” living room is erected, the rest of the house remaining in its original condition. 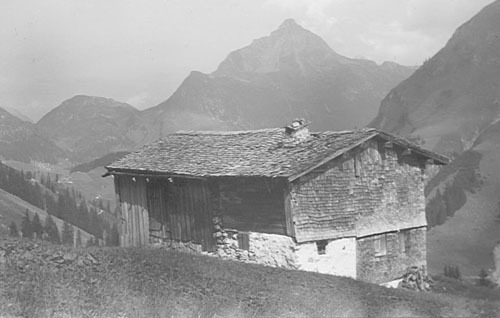 In 1734, the building shows up in the ledger under the owner’s name Maria Beiser who lived in the house all year round despite its exposed location. Since 1825, the house is no longer occupied all-season. At last, the Weissenbach Family from Warth own the house. 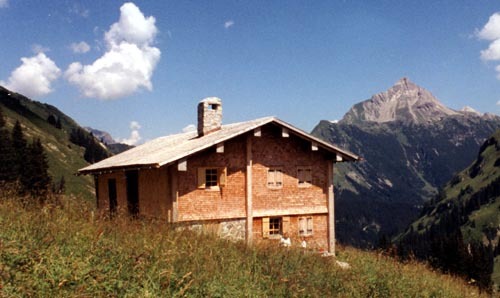 On 2 October 1995, the municipal council of Lech under the mayor Ludwig Muxel decides to buy the house. In 1998, the surrounding land also gets into the municipality’s possession. The house is restored and renovated and open to public as an open-air museum.